Iconic actor Leonard Nimoy has passed away at the age of 83. The cause was end-stage chronic obstructive pulmonary disease. Nimoy was take to the hospital a few days back when he complained of chest pains. His wife Susan Bay Nimoy confirmed the passing. Nimoy is most widely known for his portrayal of Mr. Spock on the television and movie series Star Trek. He was also an accomplished writer, photographer and director having helmed two of the more successful Trek Films: The Search For Spock and The Voyage Home. Nimoy also narrated a series during the 70’s called In Search Of… that looked into unexplained events, paranormal phenomena and urban legends long before anyone else. His most recent work was as a recurring character on the series Fringe and doing a voice over as Spock on the Big Bang Theory as well as appearing as Spock in the two more recent Star Trek films playing off new Kirk Chris Pine and new Spock Zachary Quinto. He is survived by his wife; two children from his first marriage, son Adam, a helmer, and daughter Julie; a stepson; and several grandchildren. Supergirl’s mom, Alura Zor-El has been cast in the upcoming CBS series from executive producer Greg Berlanti. The role of the Kryptonian noblewoman has gone to Laura Benanti (Nashville). Benanti will be a recurring character offering her daughter Kara Zor-El (Melissa Benoist) wisdom and guidance… how she will do that remains to be seen. In the comics Alura Zor-El survives the destruction of Krypton and ended up in the bottled city of Kandor. Benanti worked with Berlanti previously on short lived TV series Eli Stone. I have to confess…this book was an easy read for me. It was well written, with wonderfully descriptive prose and a beautiful flow to the narrative. The chapters were kept to a reasonable length, without any meandering thoughts. But what made it a real joy was that it DIDN’T introduce any ideas into the story that challenged how I interpreted the series. Thus, there is a certain confirmation bias to my review…. I saw the series pretty much the same way that Mr. Bush saw the series. Our recent discussion around The Other Guy has shown me that some may not see the characters and their complex issues in that light. First, the book does not dissect the series as a whole. Instead it takes certain scenes and dialogue and fleshes out what they contribute to the overall story. The most enjoyable parts of the book deal with metaphors that are interspersed throughout the series, especially notable are the early episodes where we get a glimpse of the main protagonists through the lens of simple props added to a scene. For instance, Bush relates Chuck’s situation and subsequent journey (metaphorically) to the Water Lillies (sic) painting from Tango. Sarah’s present situation and future conflicts are linked to the solitary goldfish in her hotel room, which suffers an unfortunate occurrence when the bowl is knocked over during Sarah and Carina’s sparring session ( Wookie). The metaphor of a “Fish out of water” is then expertly woven into the fabric of Sarah’s life in Burbank as she struggles to understand the normal life that Chuck may offer, but that she has no experience with. The author states in the preface that the book will be focused mainly on Chuck and Sarah (and, as usual, it ends up being very Sarah-centric), but other characters are explored as well. The minutia that Bush is able to detect in order to provide excellent insights to the characters is quite eye opening. Bryce is dealt with by an early covert operation “Sand Wall” …and the idea of a barrier that is shifting and not well structured is intriguing as it relates to Chuck and Sarah’s evolving relationship. Mama B is introduced through the code name “Isis”. The author even tries to relate early Season 3 to the biblical reference of being cast out into the desert and does a nice job of relating that story to the struggles of Chuck and Sarah. Morgan, Casey and Ellie are also dealt with in the book. Another interesting chapter is on the ironies and inversions that the series brings us. While it didn’t mention my favourite irony ( Prague, when Sarah mentions that the spy world isn’t real, while what she was offering was…and at the same time giving Chuck his fake passport and name), it provides plenty more that are given some context within the story. If you are open minded, this is a very good read. For many of us, it will not conflict with the story that we have watched ( many times) but gives some added incentive to pay close attention to the details of certain scenes. Reflections in mirrors or windows become a sign that there is conflict between the 2 worlds that Sarah and Chuck each find themselves in. Watches and clocks signify a time to make a decision or a deadline. The placement of the characters in the scenes, the placement of the objects in the scene are all given added significance. A warning, however, based on the recent discussions on the site. One of the underlying themes that Bush deals with, (and I thought was so obvious that it went without saying), is the conflict Sarah goes through in the series, but especially in the first 2 seasons. This is the conflict of how does she reconcile her desire to be a spy with her desire to live a normal life with Chuck. It delves into her original thinking that she must chose one over the other, but also explores the many instances where she also toys with the idea that she can bring Chuck over to her world as well. It wasn’t until Sheena mentioned that such a revelation would change how she saw the series, that I decided to throw in that little caveat. 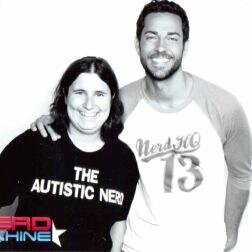 As a Chuckaholic, I think this is a great eBook to download and read, if, for no other reason, that we continue to support anyone who is as committed to Chuck as we are. Mr. Bush is currently working on “Unpacking Chuck 2”, and I, for one, will be looking forward to its publication. “Unpacking Chuck” by G. Walter Bush is available at Amazon.com for digital download OR now in softcover version. Get ’em while they’re hot !! Allusions: Once Upon a Time is no stranger to allusions and references. The entire show is one giant reference to almost every single fairy tale and Disney film known to man. Many of these are done in jest or as a subtle wink to the audience. From Emma wondering if her parents were going to present their new son in front of the clock tower like Simba in The Lion King, to Ariel admiring the treasures in Mr. Gold’s shop saying “look at this stuff,” these mentions and inside jokes never fail to make me smile. And the show does not stop at Disney films, with references and nods to Star Wars, Back to the Future, Harry Potter, Thor, The Princess Bride, and LOST. But there are also countless moments that are indirectly reminiscent of many other stories, some I’ve just mentioned. The interconnectedness of good stories whether intentional or simply a personal reaction, is truly special and I always delight in finding parallels in unexpected ways. The themes and many iconic lines from the Harry Potter series are so reminiscent of the themes found on OUAT, unsurprisingly as both feature protagonists (Emma and Harry) who are lonely orphans thrust into a magical world and destined to be a Savior. Sirius Black’s line, “We’ve all got light and dark inside of us. It’s what we choose to act on that matters” is undoubtedly paralleled with OUAT. Similarly, two lines from Albus Dumbledore ring true for our characters: “It is not our abilities that show us what we truly are. It is our choices” and “Soon we must all face the choice between what is right and what is easy.” Every character embodies the light and the dark and enter morally gray areas. Emma has threatened Regina out of protectiveness of Henry, David contemplated shooting his adoptive father after he destroyed Jefferson’s hat, Killian stole a magic bean with plans to leave Storybrooke to its fate, and Belle chose to reach for a memory stone instead of helping Anna who fell off a cliff and was consequently captured. Even sweet Snow White darkened her heart when she killed Cora. These mistakes do not degrade these characters; on the contrary, they humanize them. And when they realize their mistakes they do whatever they can to make things right and to return to a path of light. David found another way to communicate with his family across realms (a sleeping curse), Killian came back with the bean, helped save Henry in Neverland, and has been trying to be a good man ever since, Belle revealed her past with Anna, and Snow and Emma have been showing Regina friendship, understanding and forgiveness. None of these choices were easy but they were the right things to do. It must not have been easy for Killian to give up his ship in order to save Emma in New York, but he did it not only because he loves her, but because as he said it was “the right thing to do.” And ever since he made that choice, Killian cannot fathom choosing anything over love. When he says to Rumple, “[Belle] truly loves you. You could have her forever, or all the power in the world. It’s your choice,” Rumple scoffs that he can have both. Rumple took the easy path and chose power over love and it cost him everything. Our choices can lead to heartbreak, but there is always hope. It was not easy for Regina to see Robin leave Storybooke so that Marian could survive, nor for Belle to banish Rumple from the town, both woman seeing the men they love disappear right before their eyes. But all of these were the right choices, and ones that solidify how much the characters on OUAT have come to embody bravery, heroism, and selflessness. Additionally, seeing Killian lose hope of his survival but request that Rumple not harm anyone else in Storybrooke was very reminiscent of Lord of the Rings hero Aragorn’s speech “I give hope to man. I keep none for myself.” Aragorn’s hope was for the world’s survival, not his own and Killian’s thoughts were very much the same. And although the two characters are very different, I cannot help but feel a kinship between them. Both Aragorn and Killian deeply love two women, and parted from them believing they would never see them again. But they beautifully were. And when Aragorn was reunited with Arwen at his coronation, and when Killian sees Emma again and she restores his heart, the first thing Aragorn and Killian do is passionately kiss their loves, both men overcome with feelings of love and pure joy. Their hope was restored and although the future was uncertain, both couples were ready to face it together. Lastly, though unexpected, when Emma shared a box of her childhood mementos, I could not help but think of a similar scene between Jim and Pam on The Office when Pam entered Jim’s room and discovered his High School yearbook. In both scenes, we see the trepidation and nervousness in Jim and Emma’s eyes, but also the delight in sharing these pieces of themselves rarely shared with others. They were nervous but happy to share a part of their past because who they were sharing it with was very special. Both Killian and Pam smiled with glee at these discoveries, undoubtedly feeling honored, and although Jim and Pam were not together at this point and Killian and Emma were, both couples were experiencing the kind of moment reserved for the ones who are their best friends, their kindred spirits, their soulmates. Parallels: One of the most remarkable things about OUAT is the amount of parallels that we see from episode to episode. The show is like a beautifully woven tapestry of connections, each one poignant and lovely. There are parallels between all the romantic couples, between the curses, and between individual characters. Some made me cry, such as baby Balefire touching his father Rumple’s nose, and Rumple repeating the gesture after the Charmings announced their new son’s name was Neal, and David dreaming of dancing with Emma, telling her she’s a natural, which paralleled Killian dancing with her at King Midas’s ball, telling her the same thing. Both Snow and Emma rescued David and Killian from drowning, whispering “come back to me” to them both. But perhaps the loveliest were the ones between Henry in the “Pilot” and Killian in “New York City Serenade.” In both episodes both Henry and Killian find Emma and tell her she needs to go to Storybooke to break a curse. After convincing in one and a memory potion in the other, they return to the sleepy town in Maine, driving into town with similar camera angles and the same musical score. Even much of the dialogue of both characters is nearly identical. These parallels were truly wonderful and invigorated the show in a beautiful way. 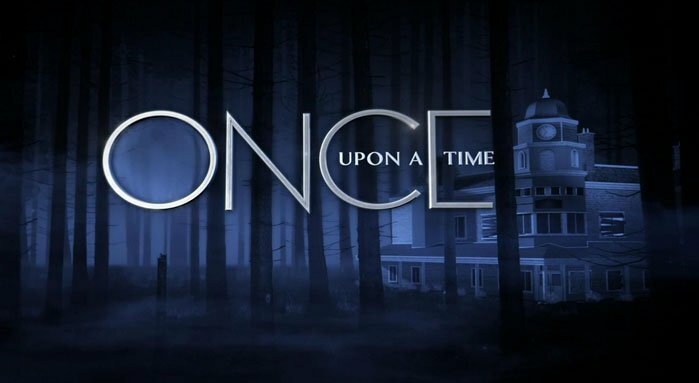 Unsung Heroes: When we praise this beautiful show’s attributes we often mention the creators Adam Horowitz and Edward Kitsis and the immensely talented cast, and rightly so. These wonderful actors breathe beautiful life into the words, with both grandeur and subtlety. And I will forever be grateful to Horowtiz and Kitsis for creating this show and its characters that have grown to be so special in my heart. They also pen numerous episodes, many of which are my very favorites (“There’s No Place Like Home,” “A Land Without Magic,” and “New York City Serenade”) to name a few. But of course the entire team of writers are worthy of praise. When I look at some of the best episodes from the past year we must mention how David H. Goodman moved me to tears with Killian’s line “I Swear on Emma Swan” in “The Jolly Roger,” and Emma’s line “I can’t lose you too” in “Rocky Road” which he penned along with Jerome Schwartz. The two also created the moving moment in “Smash the Mirror” when Emma learned to control her magic by accepting and learning to love herself. Of my three favorite episodes from Season 4A, two were written by Jane Espenson: “White Out” which added a new layer to David’s character and gave us the moving moments of Emma nearly freezing to death, being saved by Elsa, and finding comfort in Killian’s relieved and loving arms, and “Fall” which was equally epic and touching filled with tearful goodbyes and reunions between ALL of the characters. Kalinda Vazquez consistently wrote moments of strength and love for Snow and David, as well as Regina dealing with personal struggles in “Kansas” and “Breaking Glass” (co-written with Scott Nimerfro). Andrew Chambliss not only co-wrote “Kansas,” but also gave us the dynamic complexities of Rumple’s dark addiction in “Family Business” and “The Apprentice.” The latter episode, who he penned with new staff writer Dana Horgan, gave us the swoon-worthy moments of Killian’s wardrobe change and he and Emma’s romantic first date. And their moments together felt like a tremendous and exquisite gift. Science as a topic and scientists as characters have recently seen a rise in representation in media, much to astrophysicist Neil deGrasse Tyson’s delight. In a new featurette, Tyson discusses the works of Stephen Hawking as profiled in the new movie The Theory of Everything. While the movie concentrates more on Hawking’s personal life, in the video, Tyson touches more on his scientific discoveries that may have been missed. He particularly singles out Hawking Radiation, a breakthrough Hawking made regarding black holes. He also mentions the portrayal of scientists in pop culture, saying he’s “enchanted” they have captured the attention of moviemakers lately. Watch the video below! And if that’s not enough, check out our interview with the film’s producer, Lisa Bruce here. Open Online Registration is Almost Here! Save the date! Comic-Con International 2015 Open Online Registration will launch February 21, 2015. Please check your email starting Tuesday, February 17 for your personal registration code and instructions on how to participate. 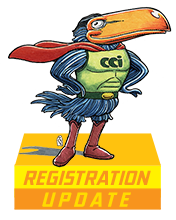 We also encourage you to visit our Open Online Registration page for more information, and bookmark Toucan, the only OFFICIAL blog of Comic-Con and WonderCon Anaheim, for registration tips and updates. As always, we appreciate your support and can’t wait to see you in July!